The International Microelectronics Olympiad of Armenia (IMOA) aimed at the development of the Information Technology sector in Armenia. The Olympiad’s target is to develop the microelectronics in the country Armenia and other participant countries, inspire the young generation, talented engineers, increase interest in microelectronics among young specialists and create a community of young specialists involved in the specialization of microelectronics. Digital IC Design And Test. Mathematical and Algorithmic Issues of EDA. There are TWO levels of Exam First stage and Second stage respectively. Student have to qualify First stage to enter Second Stage. The participant must be active university student. The age of participant must be less than 30 years. The participant must have microelectronics related specialization. 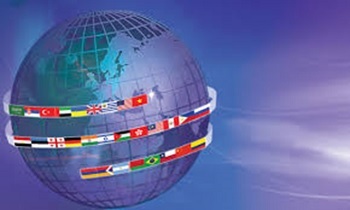 The First Stage of Olympiad held in the month of April in all the participating countries. The Second Stage of Olympiad held in the month of October. The Olympiad is a series of Written Exams conducted in two stages. The first is held locally in all the participating countries . One winner from each of the top 30 countries will be sponsored to travel Armenia to complete the final competition. All participant will receive Certificates of Participation. India, Artsakh, Chile, Belarus, China, Egypt, Georgia, Germany, Hong Kong, Jordan, , Brazil, Malaysia, Peru, Armenia, Argentina, Philippines, Russia, Saudi Arabia, Serbia, Switzerland, Colombia , Turkey, UAE, Israel, Ukraine, United Kingdom, Uruguay, USA and Vietnam.